Buy the Farm . . . Share: The Future is Now! Today we awoke to some alarming news. 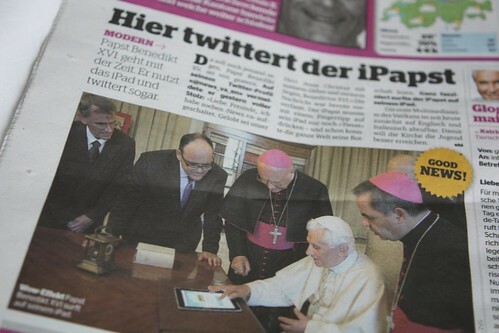 That's right, the pope has been acquired by Apple. We found about it when the pope tweeted that he will not be referred to as the iPope. We were able to glean all of this using only the meager German skills we've picked up in the past few days. Not too bad, eh? After letting this new settle in we began our day with a ride into nearby Rapperswil (pronounced "Rappers-ville" much to the delight of visiting English-speaking tourists). Sadly there were not too many rappers. There was someone playing a recorder in the square but unlike so many on YouTube he was not beatboxing at the same time. 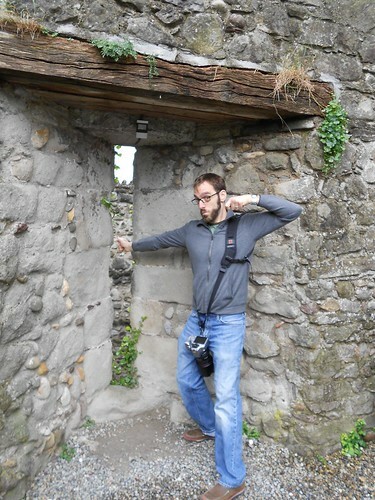 We explored the medieval portions of the town and I even got to do my favorite thing: pretend I was one of the king's archers firing on a mob of unruly peasants! 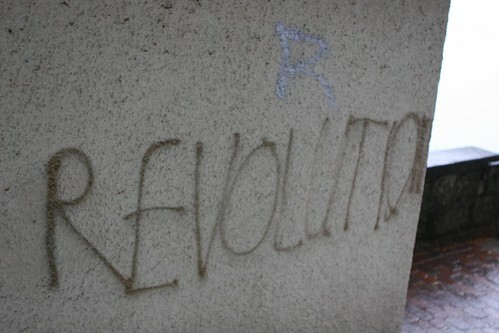 After I practiced putting down a rebellion I stumbled upon this graffiti and determined that the Swiss underground didn't appear to be all that big a threat. See the way they ran out of space at the end and tried to squeeze in the 'N' before the edge of the building? Weak. Then I rounded the corner and ran into this little gem. Yeah, I don't think my archery skills are going to be necessary against this lot. After all this rebel suppression we went to a place called Jakob for lunch. 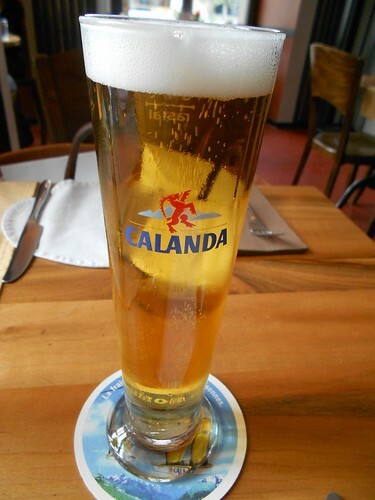 I got a recommendation on a Swiss beer to try (another lager) from our waitress who was delightful. 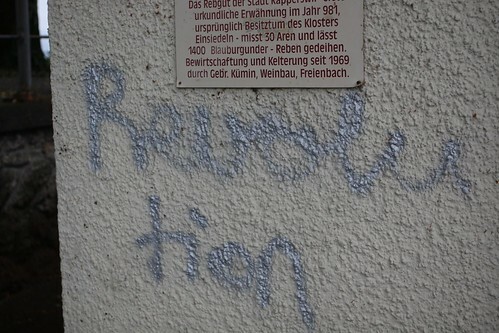 Since the message was entirely in German we asked her to translate but her English was a little weak. Twice she told us that dishes on the menu were made with 'garbage.' We later learned that she meant 'cabbage' but by that point we were not too keen on trying those meals out. 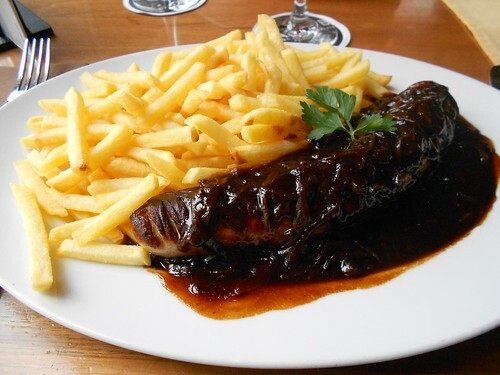 Jen had another veal wurst with a smothered onion wine sauce and pomme frites. 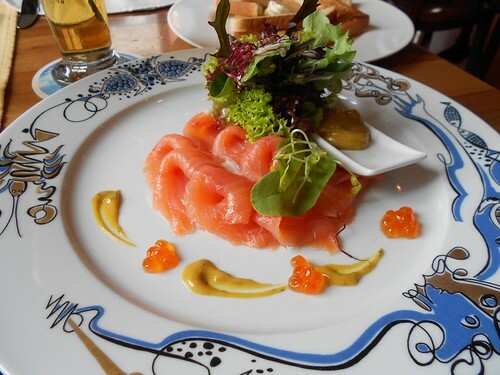 I had the Scottish Lox which is my usual standby. 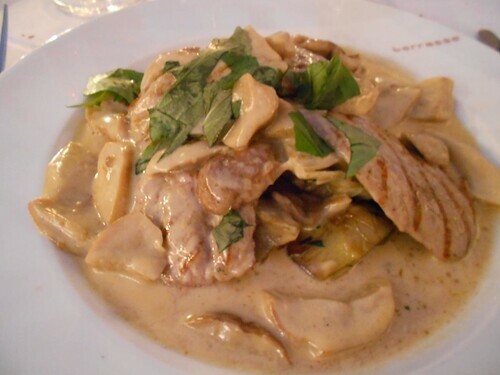 Ross had a pasta made with 'peperonicream' which is not anything like what it sounded like. After lunch we headed to Eisiedeln. We weren't allowed to take any pictures inside which is unfortunate because it was breathtakingly beautiful. Inside there is a little chapel build around a 'black Madonna' and they were having a service where they whipped out a guitar and started playing Bob Dylan songs in German. Not at all what I was expecting. In lieu of purchasing any Black Madonna replicas I got this souvenir which is an herbal liqueur made by the monks of Einseideln. I can't wait to try this. 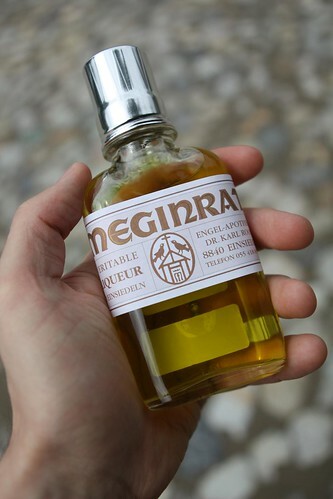 It might even be better than my last risky European liqueur purchase when I purchased that truffle flavored liqueur. 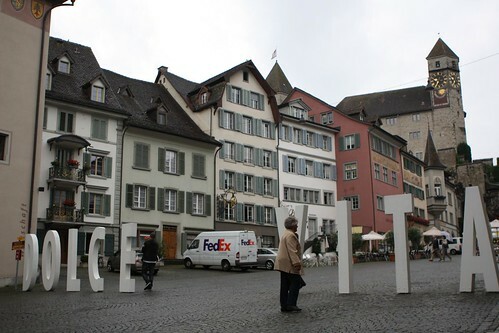 After a quick stop off at Ikea we picked up Gregg and the four of us went into Zurich for dinner. 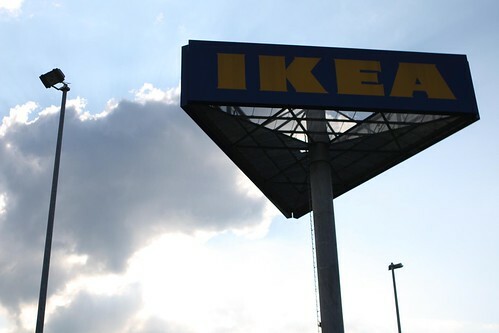 As usual Ikea was the point at which the clouds cleared and sunshine came back into our lives. Much the same as our American Ikea experiences. We were able to use our charm (most of it Ross's) to get a table at Terrasse for dinner. 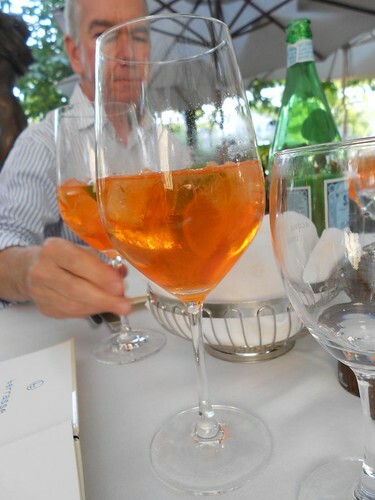 It was great and we were introduced to a new drink: aperol spritz. Our waitress was fantastic. When Gregg asked her about the Swiss pinot noir on the menu she said it was terrible. 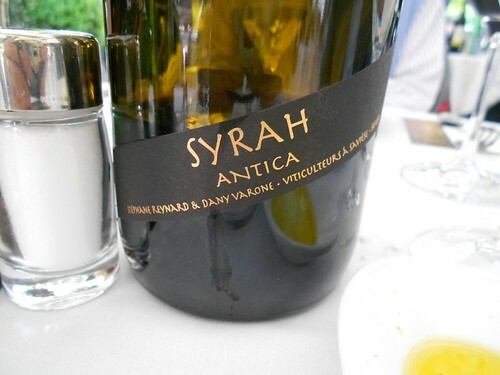 Then she recommended this Swiss wine. 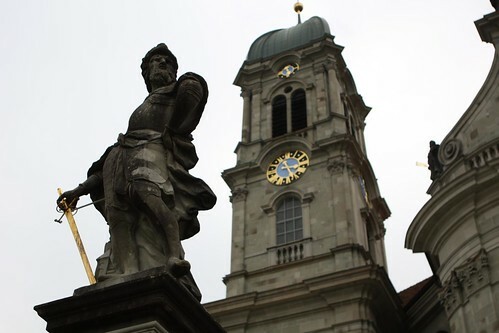 I was excited because one of my goals was to try Swiss wine on this trip since you can't really get it outside of Switzerland. 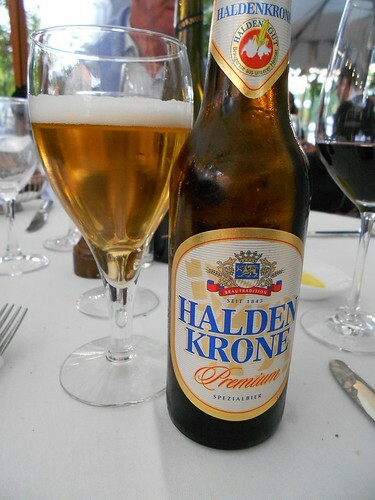 Then she said they didn't really have much beer but recommended this Swiss beer -- the Halden Krone -- to me. Another lager! Then she told me that after dinner she often goes to the place across the street to have beer because they have a better selection but sometimes it gives her a headache. 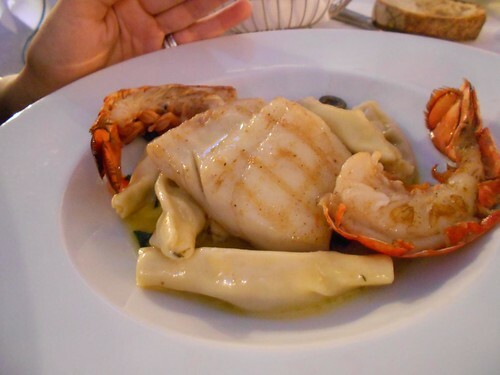 I had the veal with porcini cream sauce and Jen had the turbot with Lobster tail. Both were excellent. But it's getting really late and I think we need to go to bed now. Kathy says: "I thought he'd NEVER stop writing about his stupid meals! Check back tomorrow when they go and check out how authentic Swiss cheese is made. Personally I don't eat dairy because I don't think the human digestion system was designed to process lactose. It's a poison, people. You're killing yourselves!"